Hesitancy about vaccination in a community has a lot to do with acculturation to its norms. 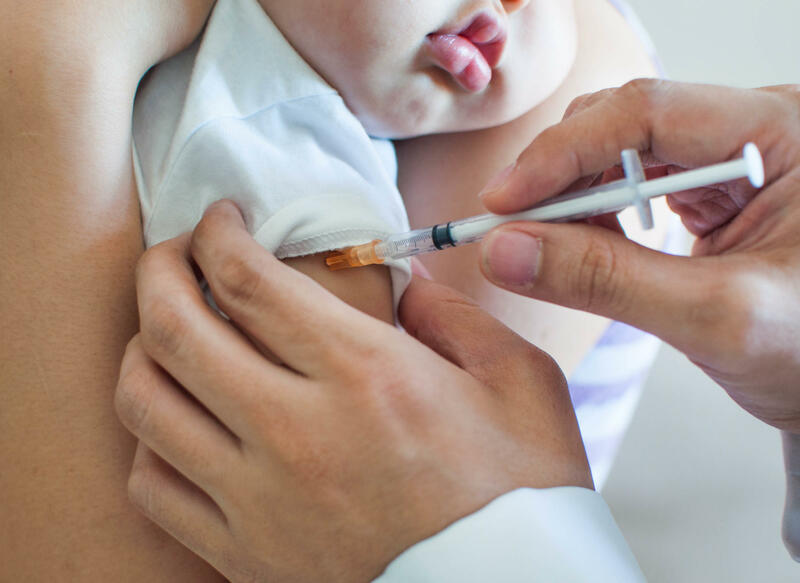 Why do people decide not to vaccinate their kids? The question is on a lot of people's minds as an outbreak of measles continues in Washington state. Dozens of young people have been diagnosed. Most of them were not immunized. Medical anthropologist Elisa Sobo of San Diego State University has studied communities with low vaccination rates. She found that common assumptions about the reasoning behind this decision are wrong. CORNISH: What are the sort of stereotypes or the common ideas we have about families that don't believe in vaccination? SOBO: So one common idea would be that they're all absolutely "Looney Tunes," crazy people wearing, you know, tin-foil hats and reading all these conspiracy theories on crazy blogs on the Internet. And that is absolutely not the case. What I found was that most of the people who are hesitating to vaccinate or skipping a few - they're really smart people, and they're highly, highly educated. They're well-educated, and they're very well-read. And they were super concerned about their children's health, too. They really did care. And because they cared, they read a lot. They studied a lot. And they knew, it turned out - subsequent research that I did in the larger community showed they knew a lot more about vaccination than your general public that just goes to the doctor and just gets a vaccine out of routine. CORNISH: To help us understand some of the research you've done in this area, at one point back in 2012, you actually spoke to some parents in California. And this was in a community where these parents were - had their kids at a fairly progressive school. And yet there was a good half of the kindergartners who had gotten exemptions from vaccines. So what was going on in this community that led to that kind of decision-making? SOBO: Yeah. What was interesting about that statistic was that often the parents, the family didn't arrive at the school having any hesitance about vaccinations. They came in at maybe age 3 or what have you because it's a preschool there. And as they acculturated or became part of the community, that's when these kinds of beliefs and practices would take hold. So you could see, for example, looking at family structure and looking at the ages of the children, the younger the children were in a family, the fewer vaccinations that child had. This practice of being hesitant about vaccinations evolved, and it became part of that family's medical practice. CORNISH: So when you see what's going on in Washington State - right? - the measles outbreak there, what does that make you think about having done this research? SOBO: I guess I worry a little bit about the media coverage. I worry about the vilification of the parents. I worry about us stereotyping these people into a corner that they're - we're trapping them in this corner and making it very hard for them to get out of that corner by taking what's really a small behavior and turning it into an identity. And that can be really dangerous. CORNISH: Why? What's dangerous about it? SOBO: When something becomes part of your identity, it can be really hard to let go of it. It can be really hard to say, oh, I'm going to change my mind because it's so much part of what's been defined as the core value of your community. CORNISH: Going forward, especially given the public health ramifications of this conversation, what advice would you give to the public health community? SOBO: I would advise the public health community to think more deeply about the needs of the vaccine-hesitant parent and to actually create materials or protocols or what have you that speak to their needs and speak to their questions. When you slap me down for being an informed consumer, you're pushing me away from the system. You're not welcoming me in and saying, hey, good job; I'm glad you're interested in your child's health; let's talk. CORNISH: Elisa Sobo is a medical anthropologist at San Diego State University. Thank you so much for speaking with us. SOBO: Oh, it was my pleasure. Transcript provided by NPR, Copyright NPR.